I have downloaded Dictation Pro from the Microsoft Store. I want to create documents in the Spanish language. But I don’t know how to add that language on my computer. Help would be appreciated. You can easily dictate in the Spanish language with Dictation Pro. This speech recognition software allows you to dictate in multiple languages. To dictate in Spanish, the language should be installed on your computer. 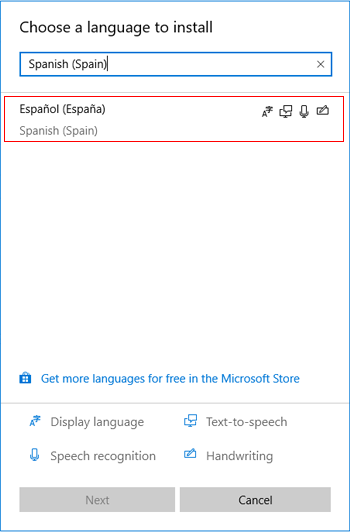 To install the Spanish language on your PC, select the Start button, then select Settings > Time & Language > Region & Language. Next, select Add a language and you will be shown all the languages that Windows 10 currently supports. Choose the language as ‘Spanish (Spain)’. 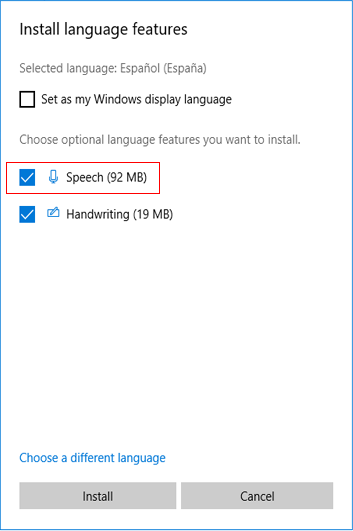 Click 'Next’ and make sure that the Speech option checkbox is selected. Then click ‘Install’ to start downloading the Language Pack and Speech. Once the language is installed on your PC, open Dictation Pro and go to Menu >> Settings. Select the dictation language as ‘Spanish (Spain)’ and save the settings. Then click ‘Start Dictation’ to create your documents speaking Spanish.